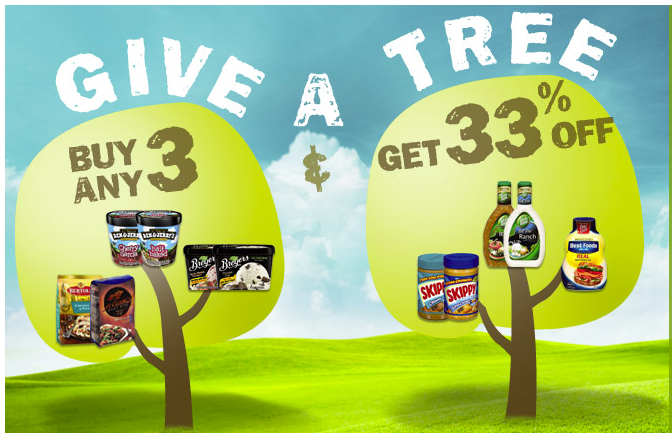 Regional grocer Fresh & Easy has launched a new ‘Buy Any Three, Give a Tree’ cause marketing campaign. Shoppers who purchase any three participating Unilever food brands including Breyers, Ben & Jerry’s, Best Food, Wish-Bone, Ragu and Skippy, will receive 33 percent off their purchase and Unilever and Fresh & Easy will donate a tree to the local community in partnership with Arbor Day Foundation (up to 25,000 trees). Cutting through consumer clutter often takes multiple incentives, as demonstrated in this cause marketing campaign. Consumers are enticed by not only a discount but also the promise of a good deed. Incidentally, next month’s Cause Marketing Masters webinar covers the topic of incentives in cause programs – join us!